Simone Biles recently said she celebrates every gymnastics competition with pepperoni pizza. 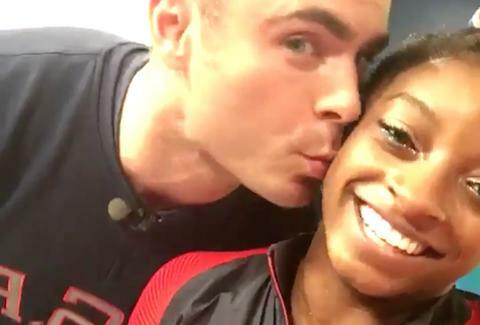 But after winning four gold medals and a bronze medal in stunning performances at the Summer Olympics in Rio, the American wunderkind gymnast experienced an even better treat on Tuesday: meeting her longtime celebrity crush Zac Efron. Basically, if there’s one athlete in Rio who proved that dreams really do come true, it's Simone Biles. Tony Merevick is Cities News Editor at Thrillist and can't stop smiling after seeing this. Send news tips to news@thrillist.com and follow him on Twitter @tonymerevick.